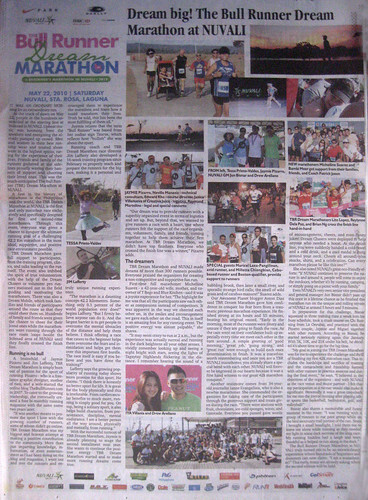 Last May 30, 2010, Tessa Prieto-Valdes, our energetic and animated host (who ran 10k prior to the program), also wrote about TBR Dream in her column in PDI. Click HERE to read the article. Thanks Tessa! Its on Philippine Star too today. Sun. 6 Jun. congrats jaymie! you really made dreams come true. i hope to be part of your TBR Dream Marathon the soonest.